I know....what is YWAM, will be your first question. Well, it is a publishing company and YWAM stands for Youth With a Mission, an international missionary organization of Christians from many denominations dedicated to presenting Jesus Christ to this generation. 3. Mercy ministry (medical and relief work). 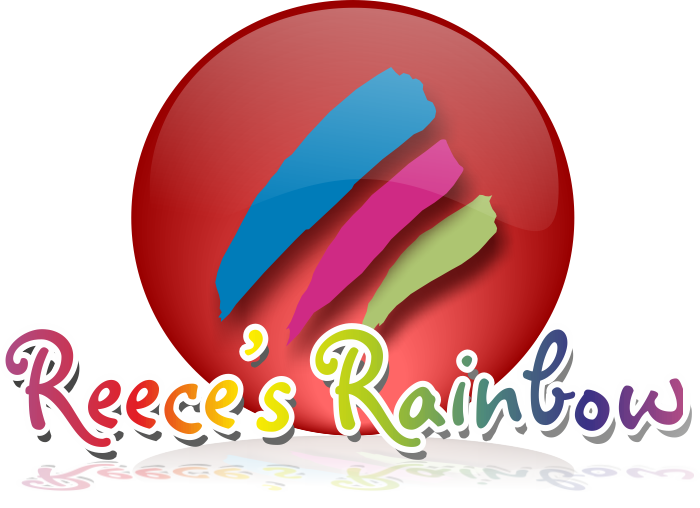 We have used other books in the Christian Heroes Then and Now series in our schooling. They are well written books about real people and how they dedicated their lives and talents to spreading the gospel of Jesus Christ. I like these books because they sort of cut to the chase. In this instance, the book is about 190 pages long . They cover a long time span of someone's life, their thought processes, their journey, their work, but sort of gives you the highlights of how they got to the place they did in life, along the way. 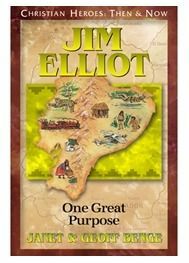 This particular book is a hard one and has a suggested age of 10+......I think, because Jim Elliot gave his life for his work. Literally. He and his companion missionaries were killed by the very people they were going to witness to in Ecuador. But, as God can do, he can work all things for good. Because of their sacrifice, many people have now heard the gospel of Jesus Christ. The book details Jim's life, his studies, his frustrations, his questioning of whether he was hearing God's call, the delays that kept him from Ecuador and ultimately chronicles his death at the hands of the Huaoroni people in Ecuador. It also gives a true look at all of the work behind the scenes that goes into heading out on the mission field. You don't just wake up one day and decide to head out....and then head out. There is a lot of stuff that goes on in the background before you go anywhere. These books give you a sense of being there and seeing and hearing and even feeling what the subject of the book is feeling. Whether it be confusion, rain, fear, bugs....you get the sense of what Jim was feeling. I think this was an eye opener for my kids that people really and truly died for Jesus....recently...not just in the long distant past. You know? There are review questions, maps of Ecuador, vocabulary words all included in the study guide. You get the idea....lots of stuff to do. I will be honest and tell you because of our move, we really only did some of the geography portions of the study guide and a little bit with some of the discussion about spiritual concepts and life application. We kept it very simple. 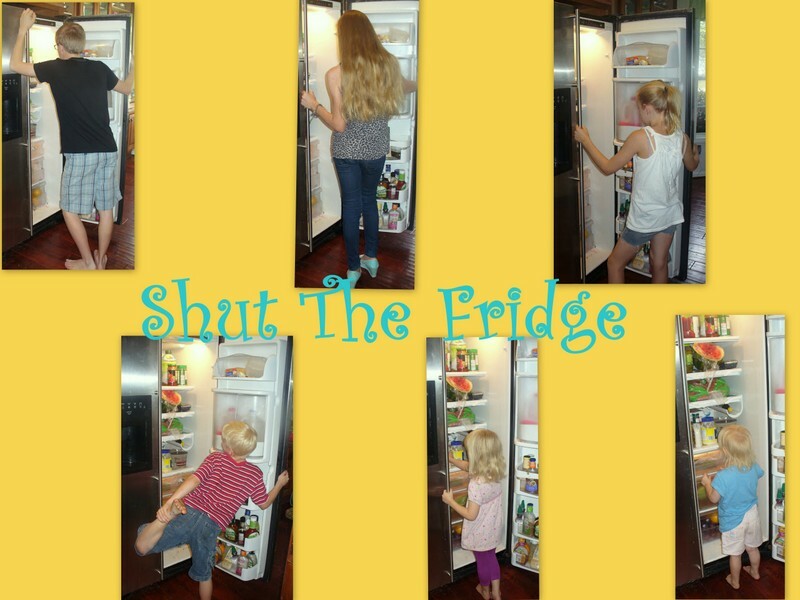 Had it not been such a busy time for us, we could easily have really jumped in a lot deeper into the other things covered in the study guide and done a lot of hands on projects.. If you want to check out one of YWAM's products, but especially the Jim Elliot book that we used, you can get a "real" book for just $6.99. It is also available in Nook and Kindle versions, if that is what you prefer. 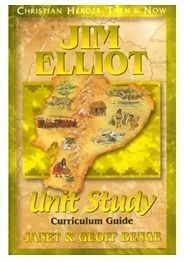 If you want the additional Jim Elliot Curriculum Study Guide, that is $7.49. Find out what the other TOS reviewers thought of the Jim Elliot book/study guide or the book/study guide on George Washington. Some of them did a lot of really cool activities from the study guides that we didn't have time for. I highly recommend the Christian Heroes Then and Now series books and study guides, but especially the one on Jim Elliot.